Tonight (March 30, 2011) at 10 PM EST, a show premieres on Spike TV called Coal. It will show the internal workings of the Cobalt Coal Company, its 600 feet deep mine, and the miners who extract coal there. The mine is located at Westchester Mountain in McDowell County, West Virginia, USA. The mine obtains its coal from the Sewell Seam. Coal obtained at the mine is used in the steel making industry with the "metallurgical" grade being used for coke production. Watching the preview, one gets to see a lot of the internals of the mine and some nice computer graphic sequences showing the mine operations. 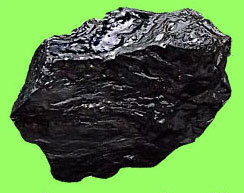 Visitors to Louisville, Kentucky can check out an informative coal display at the Louisville Science Center.